The pattern that I’m using can be found here. Only eight more rows to go! I love how the colors blend so nicely with each other. I was feeling disorganized and sad a few weeks ago. I struggle with ADD, so I often feel this way. I’ve found that crocheting helps me when I feel this fogginess. 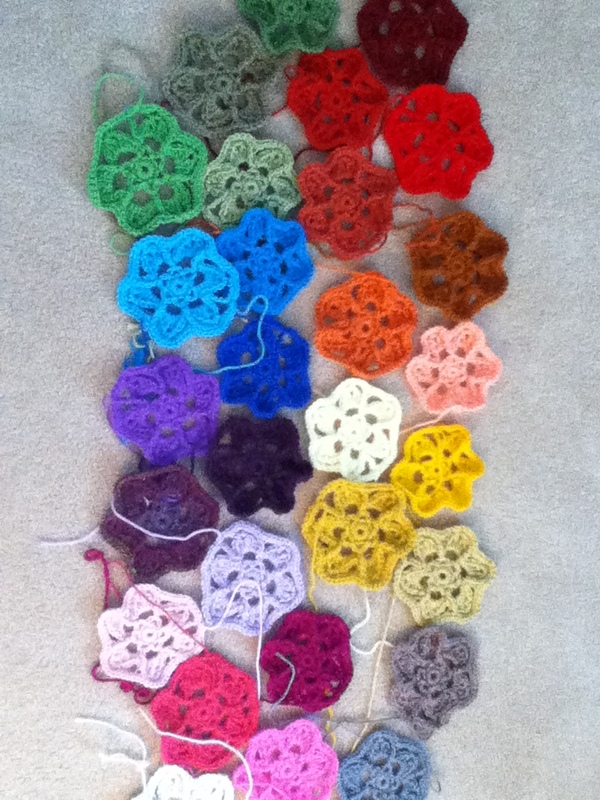 Crocheting seems to bring some order to the chaos in my mind. I couldn’t focus enough to make a detailed, complex crochet project so I decided to make a “patchwork quilt” styled blanket using the scraps in our yarn stash. We have a ridiculous stash of yarn at my house- the remainders of various crochet projects that we’ve made (or attempted to make) throughout the years. 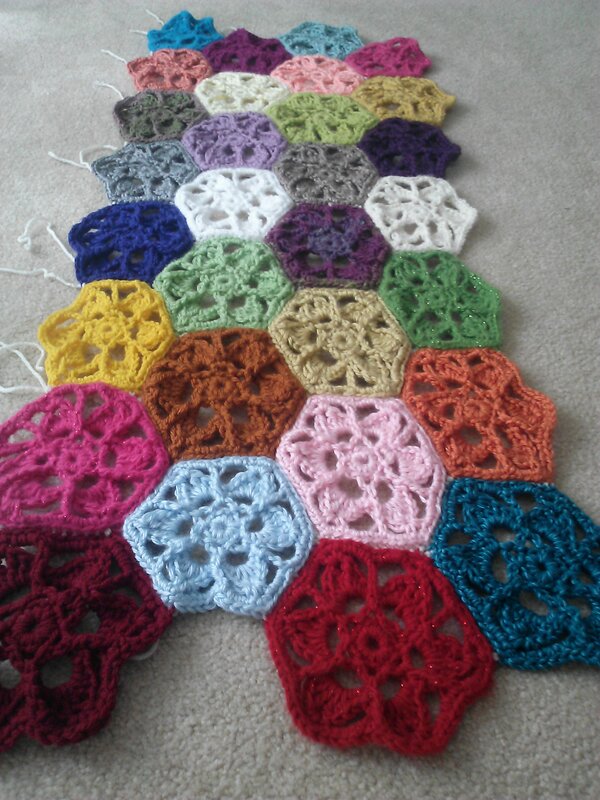 Here are some pictures of the hexagons that will make up the blanket. I have to make 81 of these! 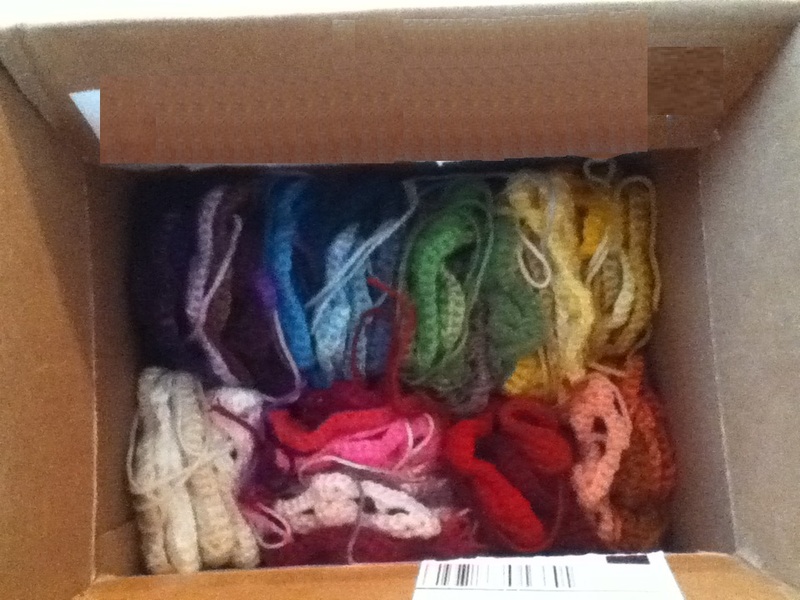 I’m storing them in this box until I’m ready to sew them together. 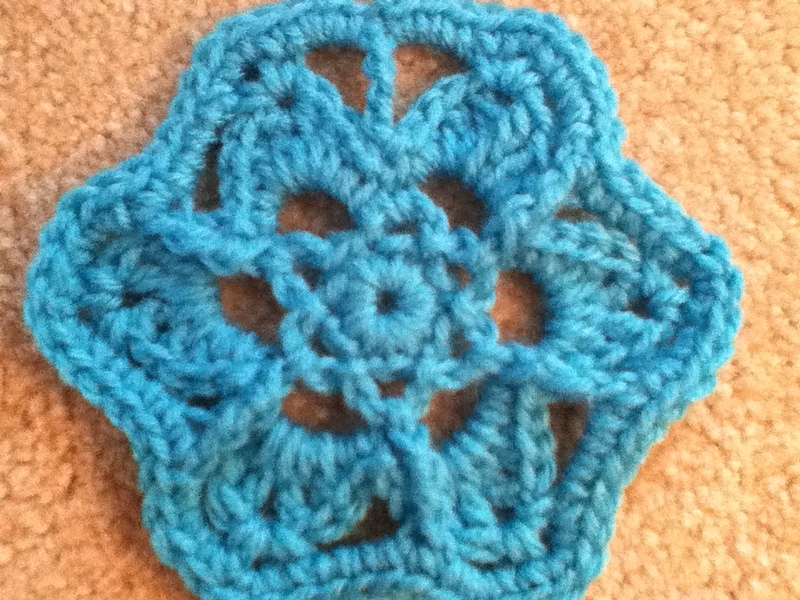 Here’s the link to the pattern that I’m using. I’ll post pictures of the finished blanket as soon as I can!